Thank you so much to everyone who sponsored the three of us from St. Martin’s who did the St. Basil’s Big Sleep Out in December. It was cold and exhausting, but at least it didn’t rain and it was fun to meet so many people for such a special event. We are still collecting in the last bits of our sponsorship money, but between us we have already raised over £700 (not including Gift Aid)! 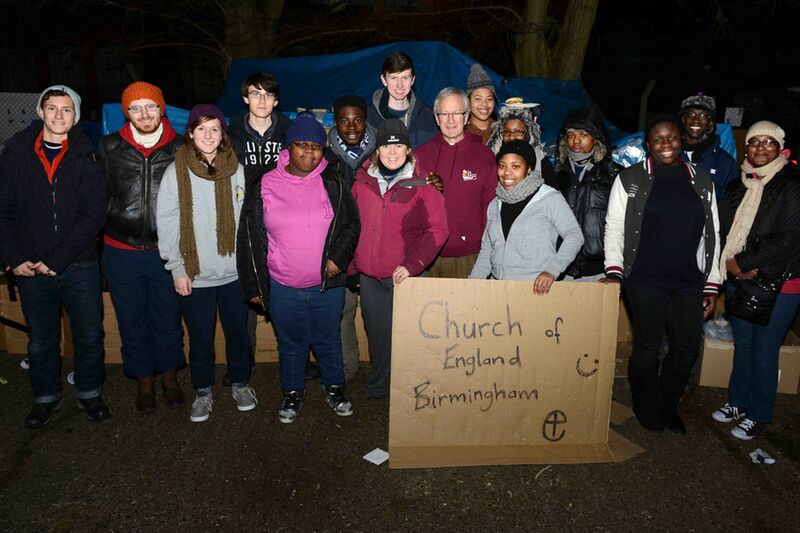 At the event we were part of a much larger group of young people from churches all over Birmingham (about 17 of us). We are hoping to find out how much we all raised together, and will let you know when we find out… Thank you all again for helping us to support this fantastic charity. If you would still like to make a donation then you can give cash or cheques (payable to St. Basils) to Oli Preston or you can donate online through www.virginmoneygiving.com/OliPreston.